Lee Ann has just had a new Kate Chopin short story go on sale on Audible. This one is called An Egyptian Cigarette. A woman is visiting a friend who travels widely, and he offers her a package of Egyptian cigarettes he received as a gift while in Cairo. The package has never been opened and has no print of any kind to indicate a brand, its origin, or its ingredients. The woman decides to try one of the cigarettes in the man’s private smoking room. Her experience when she smokes one of the cigarettes shakes her to her core. The story is for sale on Audible here. 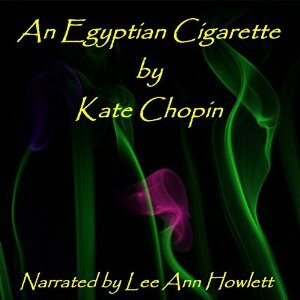 Posted by lahowlett on November 12, 2015 in Uncategorized and tagged American fiction, An Egyptian Cigarette, Audible, audiobook, classics, Kate Chopin, short story.